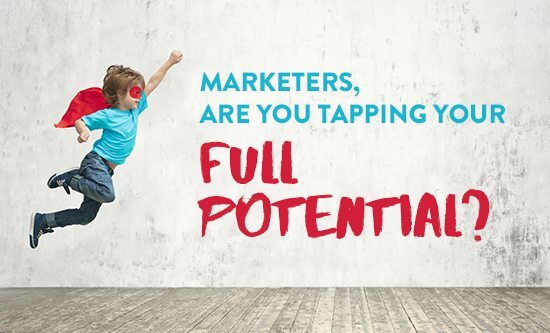 Digital Alchemy | Marketers, are you tapping your full potential? You might think you are. But you juggle so many balls at once, it’s hard to stand still and reflect for a moment. You spend five days a week sitting at your desk, running around office, working through lunch, staying late, and trying to keep up just to get your campaigns out the door. You’re trying hard to persuade other departments to change their ways of working to fulfill your customer needs, but steps forward are few if any. Saturday is spent recovering from weekdays and Sunday is all about preparing for Monday. Sounds exhausting doesn’t it? We get it, we truly do, it’s hard to keep up. There are so many things you have to do, so many issues that require your attention, so many fast-changing trends to keep up with. Have you heard of ‘the one’ who could do it all? …Neither did we. That person doesn’t exist, so instead of trying to do it all alone, focus on what you’re really good at. You will benefit, your team will benefit, and most importantly your customers will benefit. We’re talking about that little voice inside your head, the one that’s excited about launching products, devising marketing strategy, crafting targeted campaigns, and truly understanding your customers. Your inner superhero that has purpose, courage, is constantly in motion and wants to do something positive for your customers, making that difference. You dream about having better data, better access to data, and better insights obtained from data so your team can make more informed decisions to reach that much talked about goal of customer centricity. But how? You’re not alone, we’re here to help with making sense of your data, from automating the processes to the decisions that go into it. Solutions that help you do more, in less time, with better results so you can embrace your inner marketer and focus on what’s most important – your customers. Who are you going to be; juggler or marketing hero?